Sometimes its nice to have a simple salad without many ingredients. 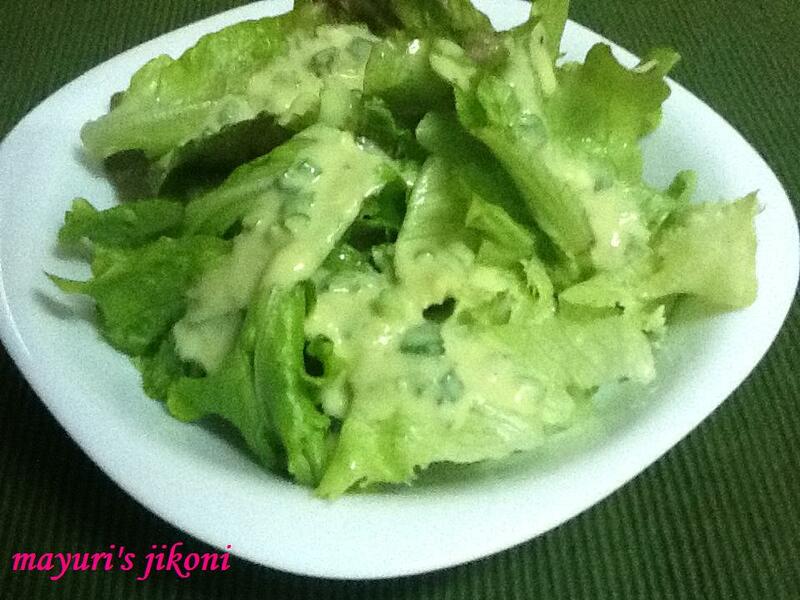 I find that the salad recipe I am about to share with you, is a good accompaniment to pasta, burgers or sandwiches. I love buying the mixed green salad leaves we get these days at Nakumatt or Tusky. Take advantage of this because as soon as the hot season begins the salads will disappear from Mombasa. People normally go nutty about nuts but I am going nutty about avocado. Just can’t get over the fact that they are still available in abundance. Wash the salad leaves. Pat them dry on a kitchen towel. Put the leaves and mint into individual bowls or 1 big bowl. To prepare the dressing, whisk together all the dressing ingredients. Pour the dressing over the salad leaves. Prepare the dressing ahead and chill it in the fridge. Add a ¼ tsp garlic paste or ½ tsp chilli paste to the dressing for a different taste. Add basil leaves and rucola with the salad leaves. Can add your favourite nuts, but toast them lightly. Adjust the amount of salt if you are using mayonnaise. Ready mayonnaise already have salt in it.